Parrot SA is one of the leading companies that manufacture drones. Jean-Pierre Talvard, Henri Seydoux, and Christine/M De Tourvel established the company in 1994. The main office is in Paris, France and is an affiliate of the CAC Small 90. The company has been manufacturing devices that involves signal processing and voice recognition. They manufacture the famous parrot drone or flying machines and include the signal processing and voice recognition system in it. Aside from the drones, they also manufacture Bluetooth software, echo canceling algorithms and copyrighted noise reduction, car telephony, and Parrot chipsets like DSP. A voice recognition device called Voicemate is another product of Parrot SA in 1995. This device is ideal for people who have problems with their eyesight like Stevie Wonder. The Bluetooth car kit that they manufactured in 2000 in collaboration with Ericsson. The Parrot AR Drone came out in January 2010 at CES Las Vegas. This flying machine operates through Wi-Fi and made possible by Open API game platform and smartphone. Two mini-drones namely “Jumping Sumo” and “Rolling Spider” made available to the public in 2014. 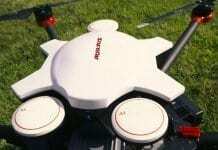 Another breakthrough of the company was the AR Bebop Drone 3.0 that appears in 2014. Have you tried operating a drone? Nowadays, there are a plethora of quadricopters, toy helicopters, and remote-controlled helicopters available. 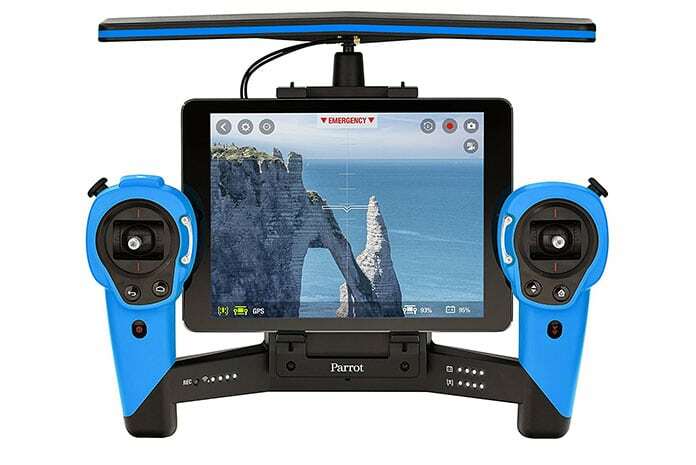 The Parrot AR Drone 2.0 is a type of quadricopter that operates through a tablet or smartphone. It is easy to operate this drone. You can control it without worrying too much of smashing or flipping it over things. You may think that it is a toy. But, this device can take videos and photos while controlling it using your mobile device. The good thing about this drone is that you can share the videos and photos you had capture on social networks. This drone had met the FAA requirements. It can record and stream 720p live high-definition video while flying. It also features automatic stabilization technology. The size of this quadcopter is bigger than a drone, but it is responsive. The design is different from the usual drone. Aside from the four propellers, it has also an upper hand that facilitates stability. That’s why the AR Drone 2.0 can capture stable images while flying. Likewise, the indoor and outdoor hulls protect the propellers so that they won’t break. It has built-in sensors to determine the distance and altitude as well as GPS to check the location. Through the sensors, you can control the flying capability of the drone. Another feature of the AR Drone 2.0 is the two built-in cameras. The front camera can record a full 720p high-definition video. It can also stream images at a maximum of 30 frames every second. 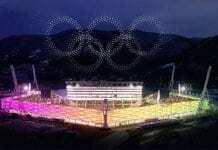 But, the quality of the image is not so clear, but it is better than its predecessors. You can control this drone by using a mobile device regardless of the operating system. All you have to do is to install an app in your smartphone, which is the FreeFlight 2.0. It is free to download this app and it runs on iOS and Android. Make sure to connect that both the mobile device and the drone to the WiFi so that it will operate. In case that the drone is not responsive, you can restart the app. Flying the drone on areas with congested WiFi networks would result in poor signals. With this, you should change first the WiFi settings. 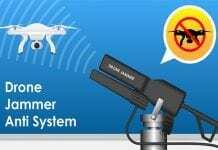 Then, maximize the capabilities of your phone to connect with the drone’s network. You can also use a manual motor control for best connectivity. When you buy this AR Drone 2.0, the package includes charger and the 1000 mAh Lithium-ion battery. You should charge the battery for an hour for its full capacity. But, you should expect that the battery drains within 12 minutes of continuous use. This means that the battery life of this drone is very limited. With this, you have the option to buy several batteries. This way, you can have fun flying the drone without the battery draining. To address the battery issue, the Parrot Company has developed another model that is the Drone 2.0 Power Edition. The battery capacity is a little bit higher as it has two 1500 mAh battery packs. It also offers longer flight time of about 20 minutes. But, if you will use the fun trick, you should expect that the battery will drain quickly. In fact, if the battery is critically low; the drone will begin to power down and land safely on the ground. Indeed, by utilizing the FreeFlight app you can control the drone even for beginners. Likewise, you can also learn some airborne drills to fly this drone. You can rotate, spin, or flip it as you want. The good thing is that through the app you can also train how to control and fly the drone. But, while getting the hang of flying the drone, you should expect to experience a few crashes. With this, you should practice first flying indoor. The drone automatically stops once it crashes. This prevents further damage to the rotors. If you’re planning to buy this drone, you should prepare to shell out around $250 to $300. It is quite cheaper as compared to other drones of its category. But, the drawback of purchasing this quadcopter is that it does not come with a warranty. That’s why before buying it make sure to negotiate the terms with the seller. Indeed, the Parrot AR Drone 2.0 is a middle option between a professional device and a hobbyist toy. If you want to invest in a fun tech device, you should consider this quadricopter. Considering its features and specifications, it is safe to say that it is all worth the cost. You need not invest a huge amount of money buying a drone is your purpose is for fun. If you want to level up your experience of playing and flying a beginner drone, it’s about time to invest in the most innovative Parrot Bebop Drone. It is a helicopter-like device that operates through remote control. It is more solid as compared to the DJI Phantom. This drone has built-in 14-megapixel camera situated at the aircraft’s nose. There are two models of Bebop drone. The one would cost you $500 and you can control it using your smartphone or tablet. The other comes with joysticks and real buttons and the price tag is about $900. When it comes to the design of Bebop drone, we can say that it is compact and cool than its competitors in the market. It is made of flexible yet strong materials. The propellers look like a guitar pick and a foam covers the frame. The four rubber balls work to stabilize the motion of the drone. The foam bumpers are easy to snap on the frame by squeezing it. If you’re not used to flying the drone using the touchscreen of your mobile phone, you can use the Skycontroller. This allows you to use the joysticks and the function button. You can use the button for landing or taking off. Use the camera discretely, and determine the charge of the battery. You can use the Skycontroller on Android that’s why there’s no need to install an app that will make it fly. It is compatible with VR headsets and you can also connect with an external display on the HDMI output. The four antennas and the WiFi radio is built on the Skycontroller’s top. Such features would allow your drone to fly at a maximum of 2.3km. It is much farther than utilizing a smartphone alone. Make sure to try flying this drone in an area that is free from obstructions and wireless interference. The only issue is that the battery life is quite limited. As compared to other high-end remote control drones, the Bebop does not require pairing the controller and the drone. It’s because the Skycontroller is the Android tablet itself. Once the Skycontroller is turned on, the Android will boot up next and eventually the battery will start. The construction of the Parrot Bebop Drone is somewhat deceiving. It may look less polished as compared to other RTF quadcopters. This drone weighs about 410 grams, 12 inches wide and 1.5 inches tall. The camera is well-protected that’s why there’s nothing to worry about if ever the drone crashes. As compared to the AR Drone 2.0, the camera of Parrot Bebop Drone is upgraded. It features f2.2 fish-eye lens with a 14-megapixel sensor and 180-degree viewing angle. The camera can capture high-definition resolution video at 1080p. This drone has 8GB internal storage where the video is stored. You can capture photos as Adobe DNG or JPEGs format. This drone has built-in GNSS chipset that includes GPS, Galileo, and Glonass. The GNSS chipset enables the drone returning back to its take-off location without maneuvering it. Likewise, Bebop has the capability to fly and can withstand the wind up to 24 mph and a maximum speed of 45 mph. When it comes to the photo and video quality, we can say that the Parrot Bebop can take cool videos that are worth sharing online. The slight drawback is that the tilt and pan feature is not that functional. Since the camera is fixed, all you have to do is to adjust the pan digitally through an analog stick. But, the good thing is that the software will stabilize digitally the images through the unused pixels. The silicon in Bebop finds difficulty in producing live feed. You need to practice a lot on how to use the lens’ center to avoid ending up black area. In terms of video quality, we can say that this drone is enough for casual use. Taking off is not an issue because once you connect the drone to a WiFi signal it will operate soon. To get the hang of operating the drone, you need first to familiarize how to connect your device and the drone to a network. This is also applicable if you will use the Skycontroller. The WiFi connection plays a big role in the drone to operate. On the other hand, flying the drone with your mobile device gives you three options to control it Normal, Joypad, or Ace. If you will use Joypad, it works like the conventional transmitter. It determines the movement of the quadcopter by moving the joystick towards the direction that you want. This is also true with the Normal mode. You can move the joystick to tilt the drone left or right, forward and back. In the Ace mode, you can control the moves by using the left stick. To change the altitude or rotate the device, all you have to do is to slide your finger going up and down. In this mode, you can use the right stick to adjust the pan and tilt of the camera. 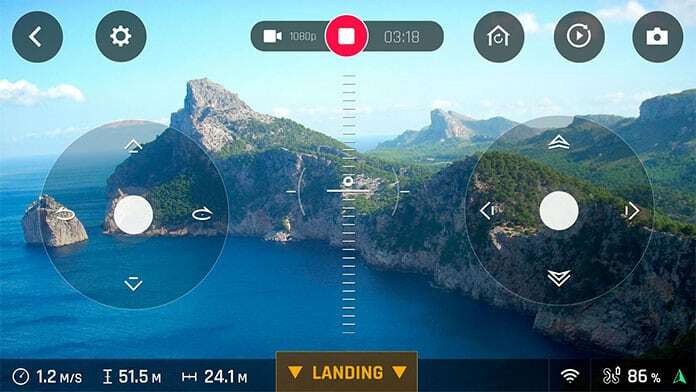 Tapping the virtual button located at the lower part of the screen helps to maneuver the landing and take-off of the drone. But, make sure to set first the rotational and vertical speeds, maximum altitude and distance, as well as the maximum inclination. Using your mobile device as a controller of the Bebop spares you from carrying another device. But, again it will take some time to practice flying the drone by manipulating the touchscreen. It is more fun flying the drone through a Skycontroller. This controller maximizes the potentials and capabilities of the drone. Likewise, through the Skycontroller you can activate the safety feature that is the Return Home. If the latitude is more than 32 feet, the drone will return to its starting position. 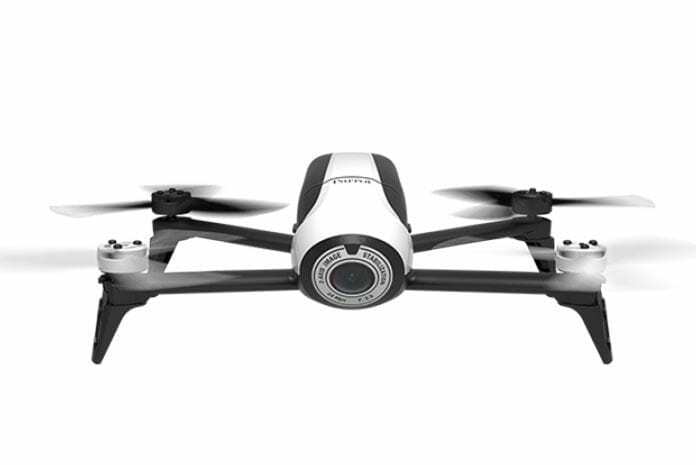 If you’re looking for a device that you can use for fun and other purposes, you should consider the Parrot AR Drone 2.0 and the Parrot Bebop Drone. Considering all the details discussed above, we can say that it is all worth the investment.